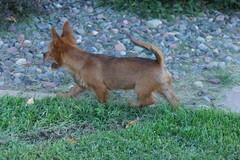 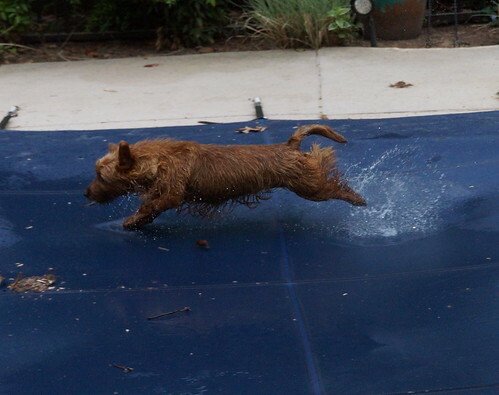 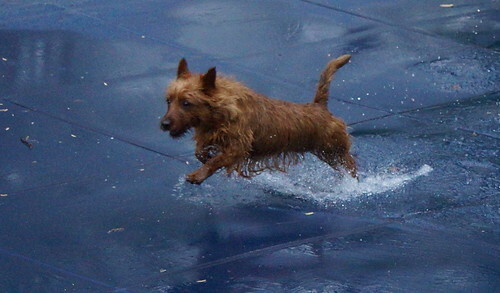 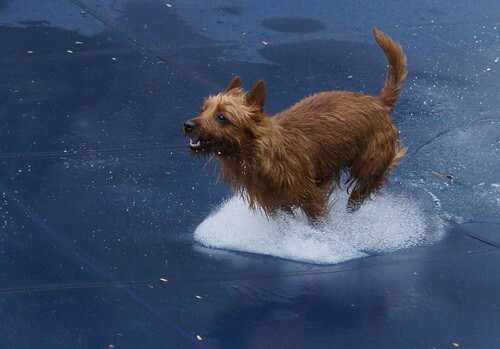 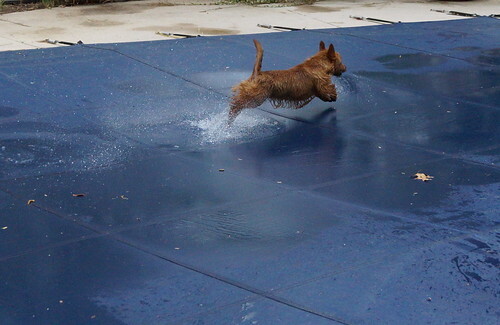 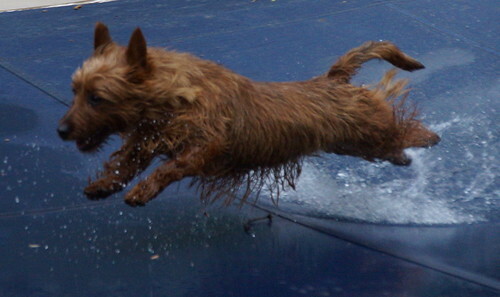 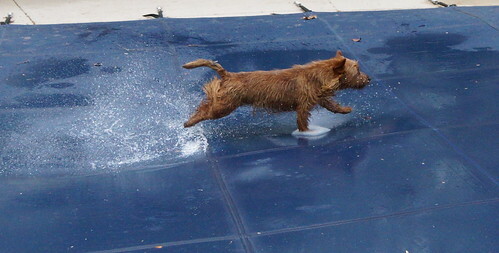 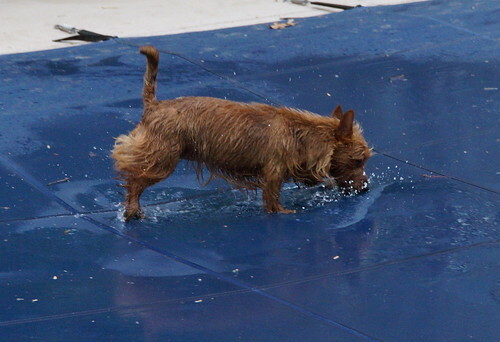 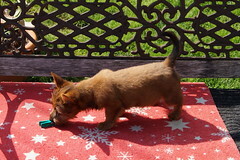 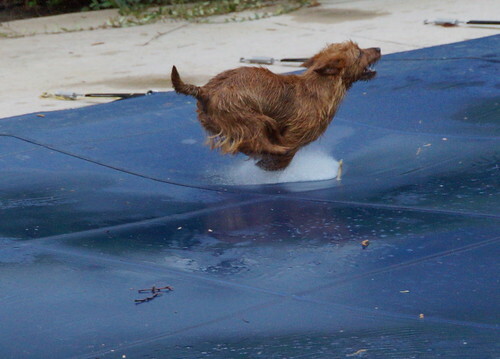 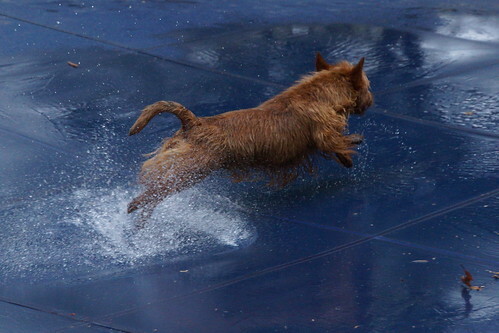 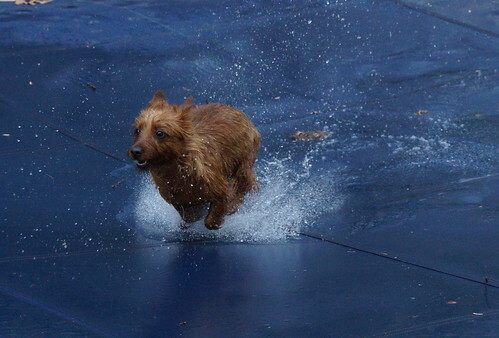 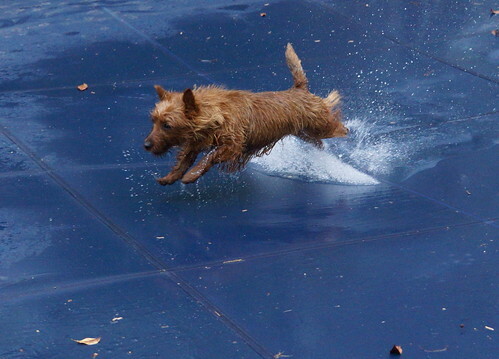 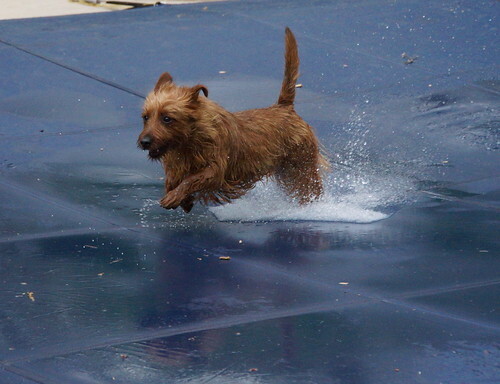 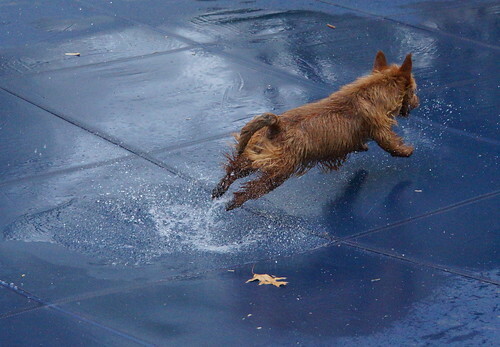 Maybush Red Radiant Knight "Nova"
Nova loves the water and will be an amazing agility dog. 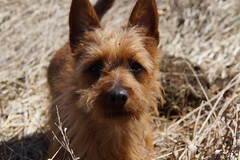 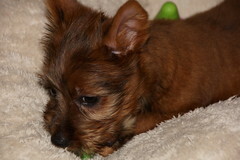 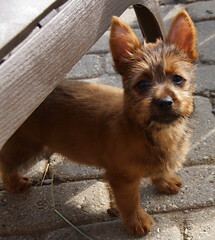 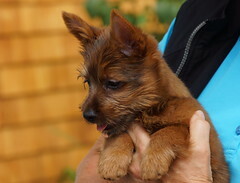 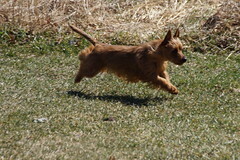 Nova joined our family in July after my visit with her breeder and her lovely family at her home in Nova Scotia Canada. 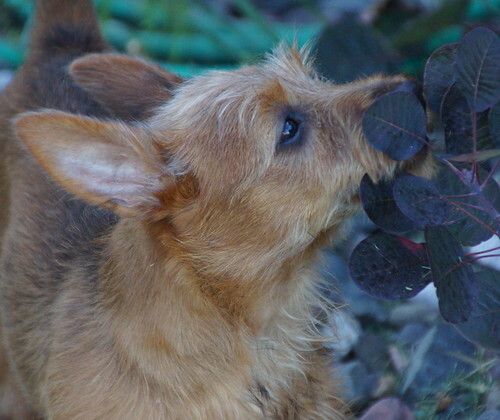 I fell in love with Sylvia's litter and in particular this little treasure, who we named Maybush Red Radiant Knight after her breeder's last name "Knight" and "Nova" because we think she has "star" potential, "Nova" and was born in Nova Scotia. 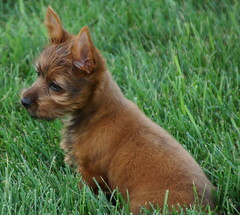 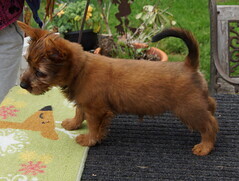 I am so happy to have this little girl and excited about her pedigree to be a part of my future breeding lines. 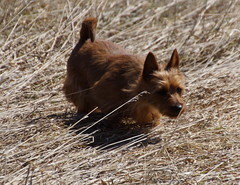 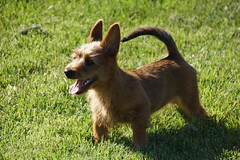 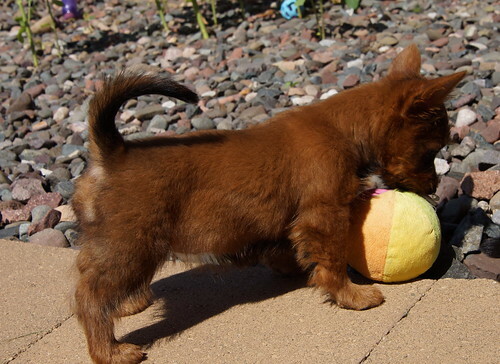 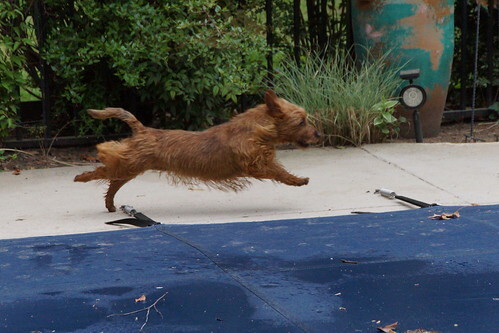 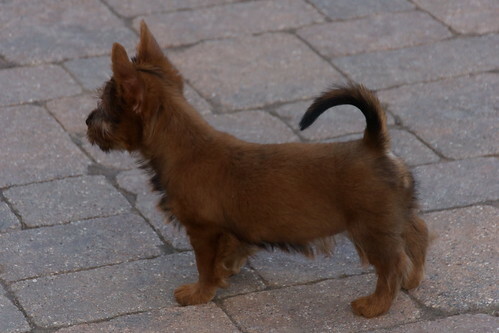 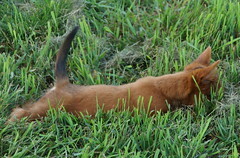 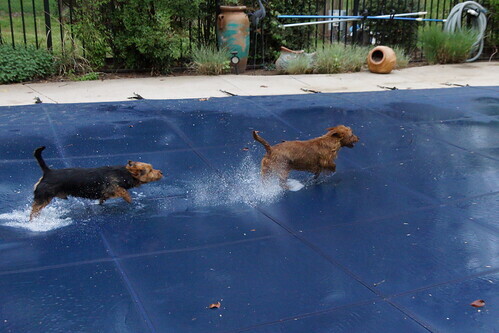 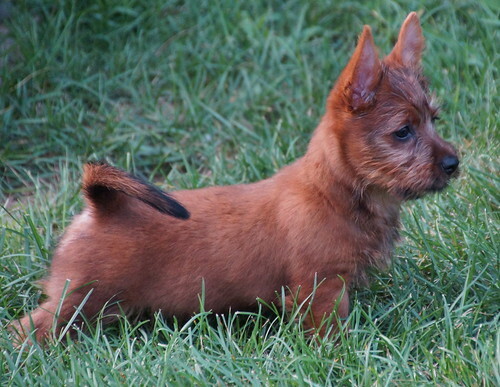 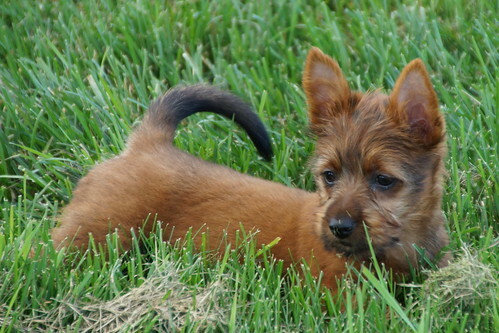 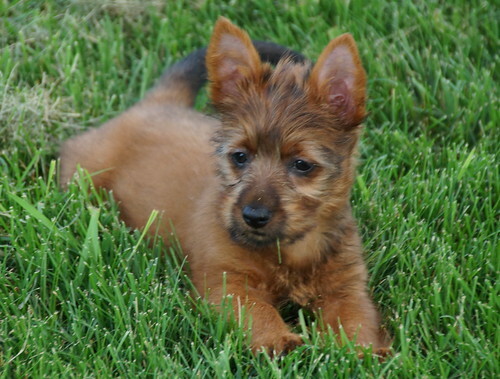 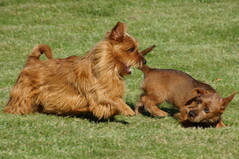 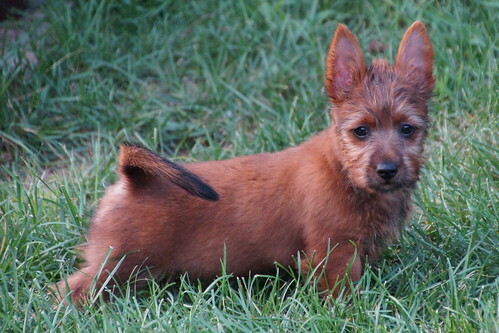 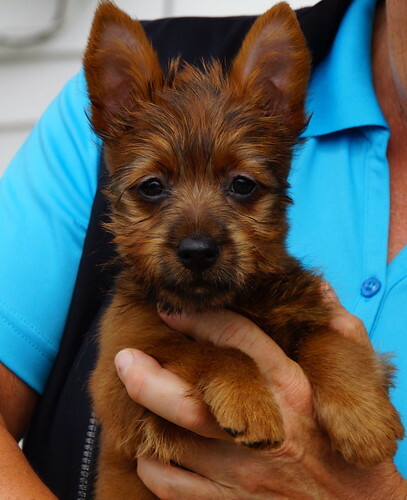 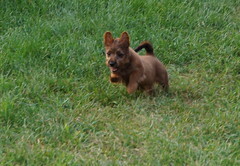 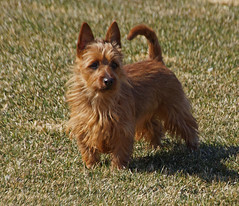 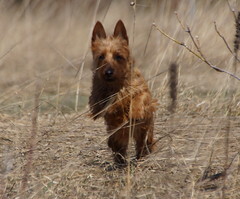 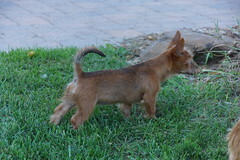 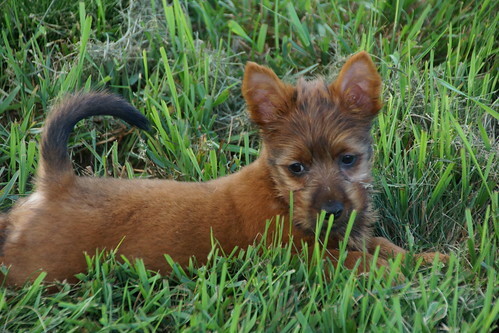 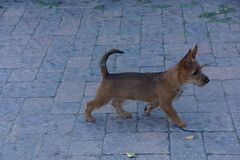 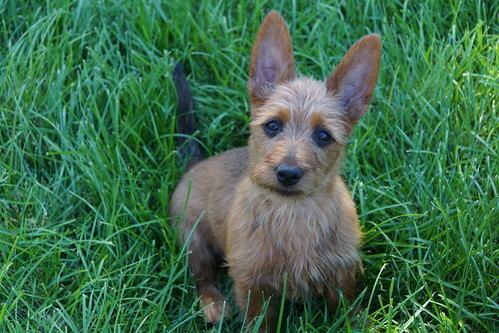 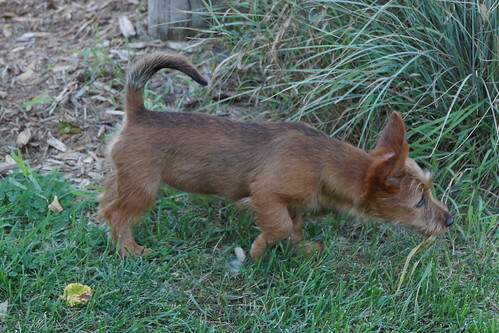 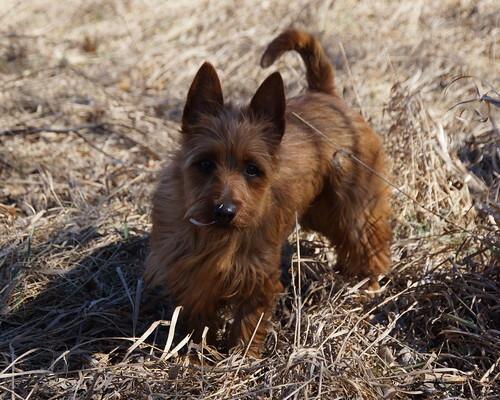 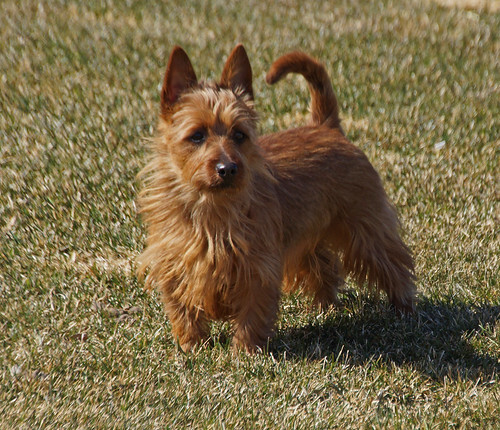 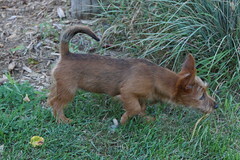 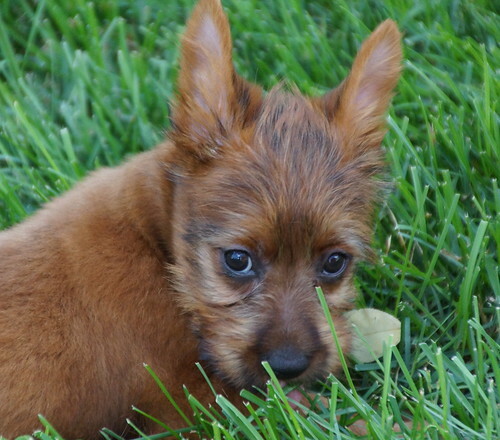 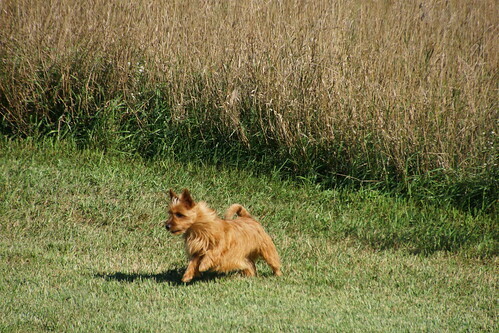 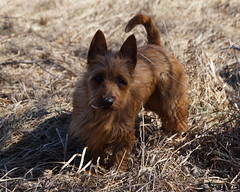 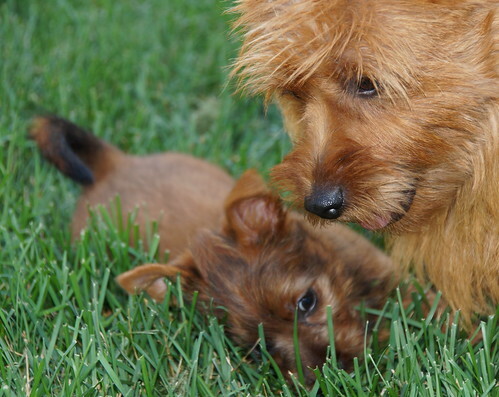 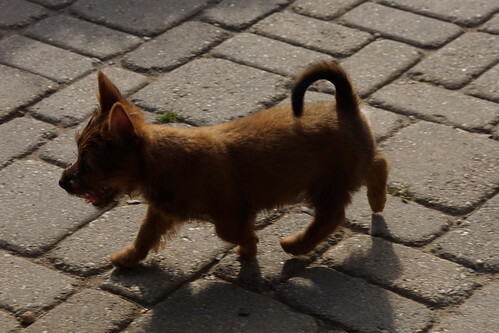 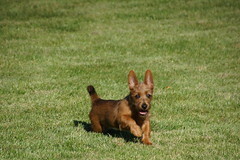 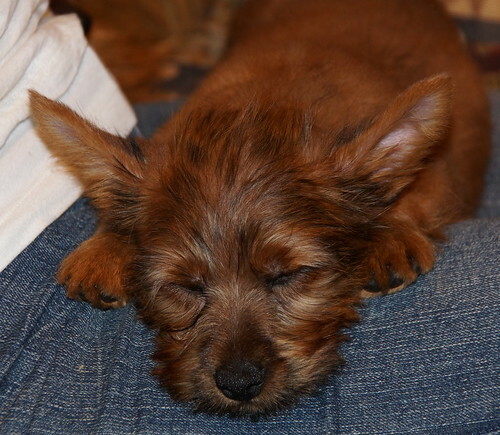 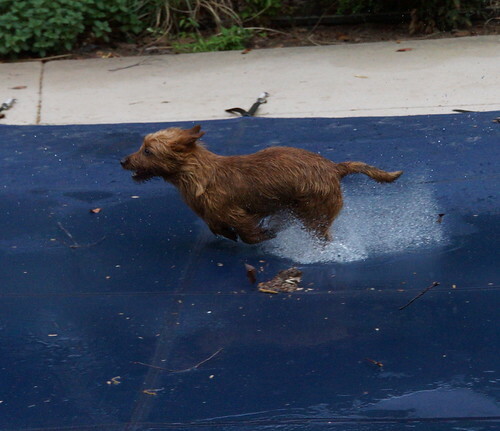 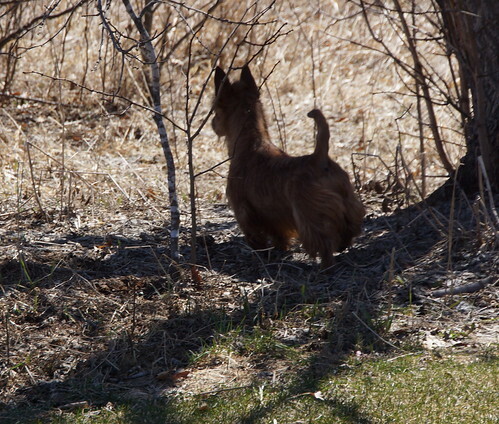 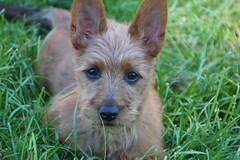 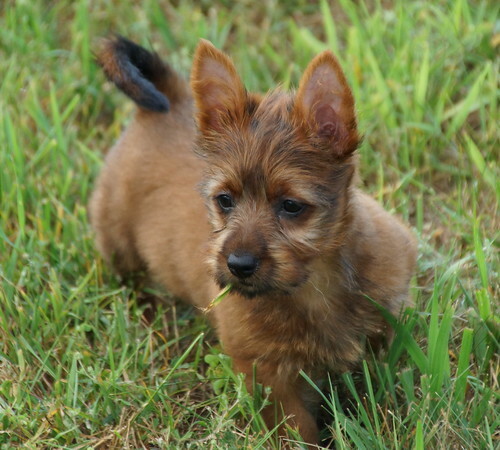 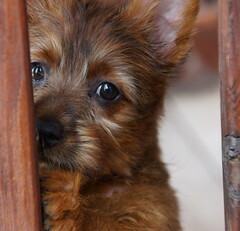 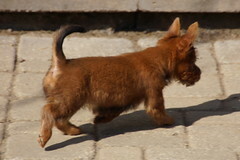 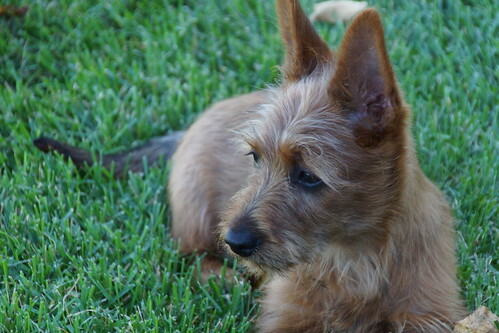 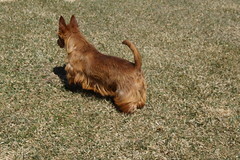 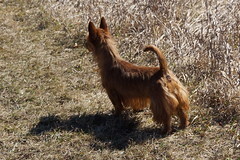 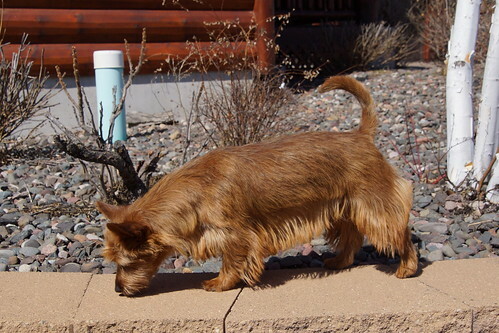 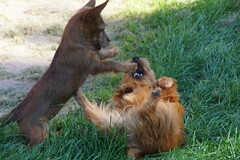 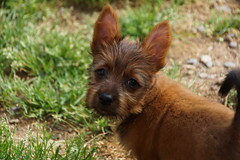 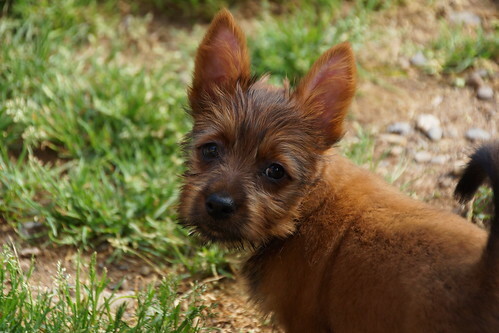 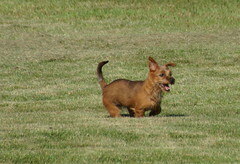 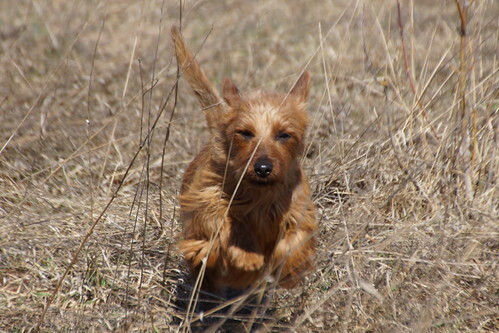 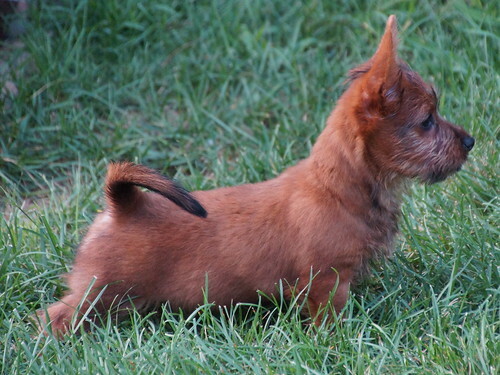 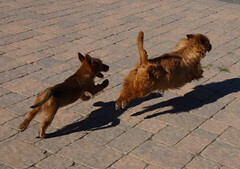 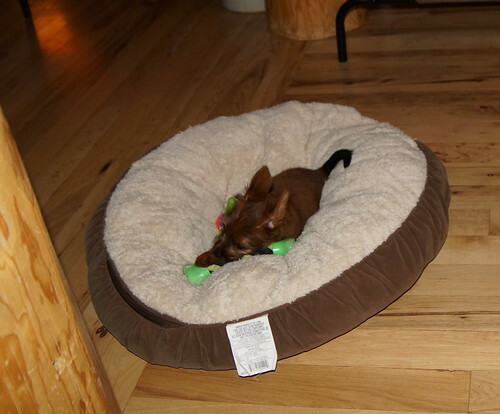 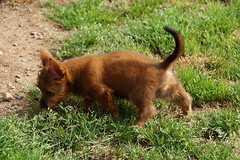 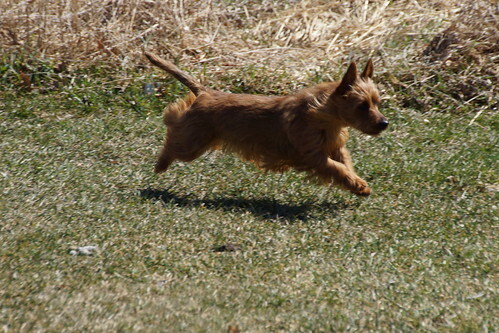 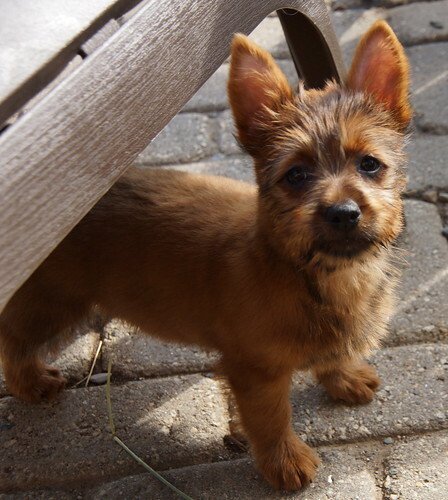 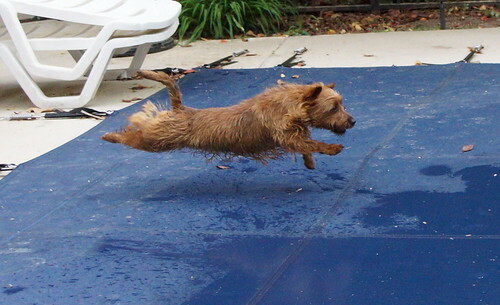 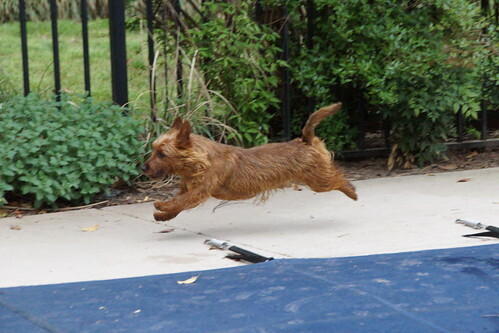 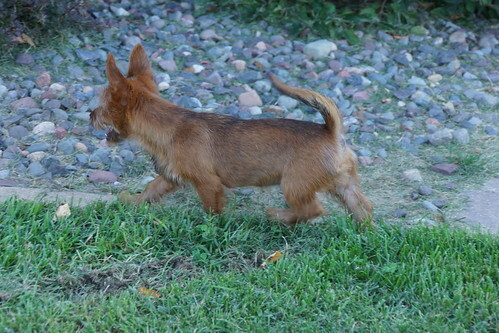 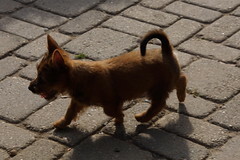 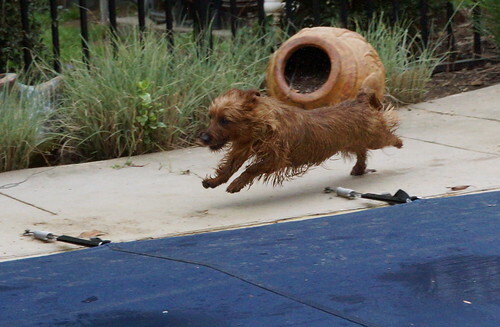 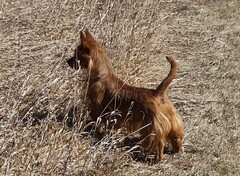 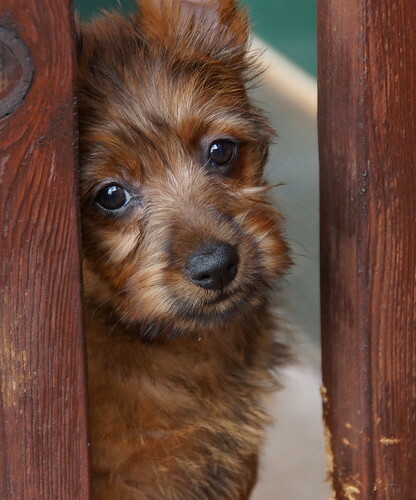 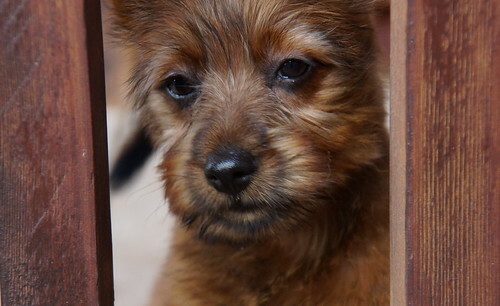 Part of our mission as a breeder, we believe, is to expand the gene pool for Australian Terriers in the US starting with our own breeding program. This is nothing new, many breeders have imported and exported Australian Terriers I believe in part for this purpose as well. 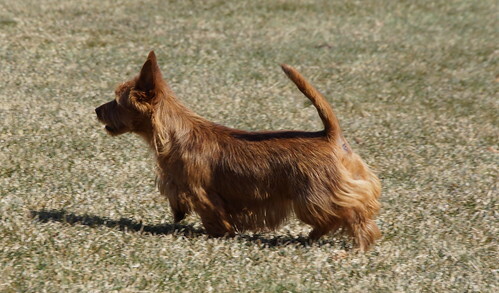 It has been an enjoyable and informative process, working closely with other breeders, studying different pedigrees and learning from other breeders in the US and around the world that mirror our philosophy to breed healthy, sound tempered Australian Terriers. 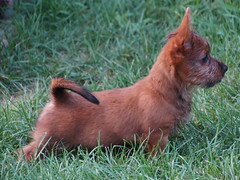 Many thanks to Sylvia Knight her breeder and my friend for entrusting us with our new beautiful addition to our DL family.